In the vein of Sarah T. and Go Ask Alice, a classic young adult novel about teenage alcoholism and addiction. Seventeen-year-old Geri is under pressure from her mother to be “popular.” When she meets the handsome and witty Dave, she is suddenly more of an insider than she’s ever been. But Dave’s easygoing manner masks a dangerous addiction to drinking, one that drags Geri down further and further away from her innocent upbringing. Because it turns out that the inexperienced Geri loves liquor as much as Dave—and turning from a “freak” to a member of the in-crowd comes at a price. Sandra Scoppettone has published nineteen novels, primarily in the crime, mystery, and young adult genres. She has published three novels under the pseudonym Jack Early, including A Creative Kind of Killer, which received an Edgar Allen Poe Award nomination and a Shamus Award, given by the Private Eye Writers of America. 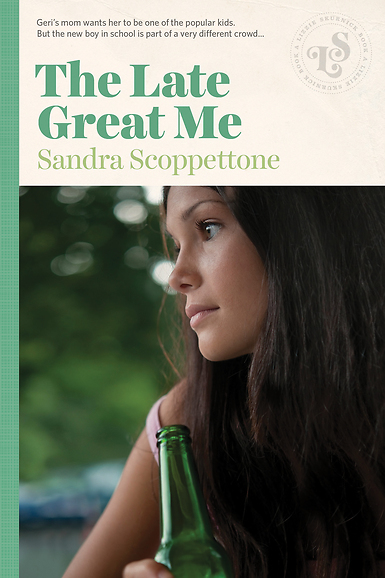 Her 1976 novel, The Late Great Me, dealt with teenage alcoholism and was made into an Emmy-winning television special. She lives in Southold, New York.